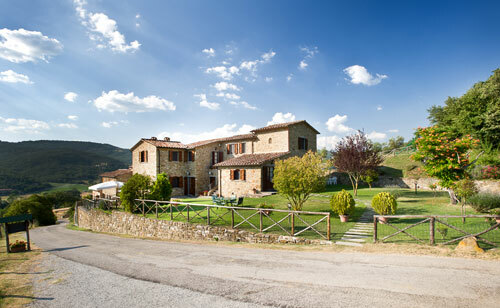 Pugnano Alto farmhouse is located in a northern area of Umbria, in the Upper Tiber Valley, about 350 m. a.s.l., and one km from Tuscany. The house is made of stone, and has been renovated respecting the environment that surrounds it, and furnished with attention to detail and run directly by the owners.